HR from a legal perspective. After qualifying as a barrister and solicitor Cerys worked as an employment lawyer for ten years – seven years at Eversheds LLP exclusively advising employers, and in 2014 she founded Ashley HR Consultancy. Cerys has worked on a plethora of cases and issues that employers encounter daily. Her profound understanding of employment law and former career as a practising solicitor affords her the ideal position as a HR Consultant. Her vast experience in this area of law perfectly underpins the understanding needed to succeed in HR. Cerys’ approach to client work is as dedicated as it comes. When you employ the services of Ashley HR, you get Cerys. Not every professional with a legal background has a personality. With Cerys, you truly get best of both worlds. Approachable, personable and likeable, Cerys’ strength is building strong relationships with her clients. 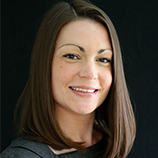 Cerys is a non-practising solicitor.